The Environmental Protection Agency (EPA) estimates indoor air could be two to five times more polluted than outdoor air. The National Air Duct Cleaners Association (NADCA) has also estimated that on an average every year air ducts in a six-room house collects 40 pounds of allergens, dust and dirt. Our website gives you plenty of information to educate you before you get your air ducts cleaned. Check out the Educate Yourself section, and especially the NADCA Residential Checklist. There are two key components to air duct cleaning: breaking contaminants loose and the collection of contaminants. We use these methods in our 12-step cleaning process to properly clean your duct system. Properly cleaning HVAC systems requires removing the sources of contamination. Source removal begins with use of one or more agitation devices designed to loosen contaminants from the surfaces within the heating and air-conditioning system. Examples of agitation devices include brushes, air whips, and compressed air nozzles or “skipper balls.” Agitation can also be achieved through hand-brushing or contact vacuuming. During cleaning, the entire HVAC system is placed under continuous negative pressure (vacuum) to prevent the spread of contaminants. Continuous negative pressure allows very fine particles to be removed from the system as they become airborne, ensuring that these particles are not released into the living space when the system is turned on after cleaning. A walkthrough of your home is conducted upon arrival. We inform our customer of the process of our cleaning and answer any questions addressed. A certified technician inspects and tests the furnace before disassembling it. The blower fan is taken apart and cleaned thoroughly. We go to each register and vacuum register boots with a HEPA vacuum. Floor vents will tend to have objects that have fallen inside the boots throughout the years (i.e. screws, toys, animal hair, etc…). We vacuum those larger objects before we turn on our negative air and pass them through your air duct system. Our high-powered negative air machine (5,000 CFM) is hooked up to your air duct system to collect dust and debris, removing harmful contaminants. Our hoses are first hooked up to the return ductwork and cleaned, then to the supply ductwork. We check all ducts lines for leaks, where possible. Depending on the type of ductwork, a power brush system may be used to mechanically brush inside your ducts to agitate loose dirt, where possible. 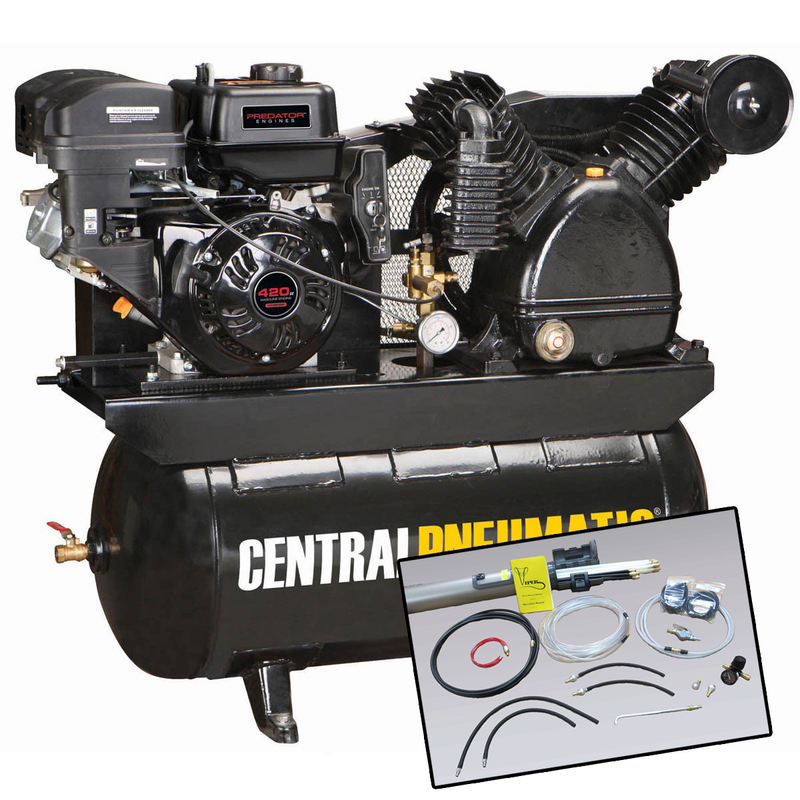 A high-pressure air compressor (195 PSI) with a special whip dislodges particulates and blows it toward our negative air machine that is attached to the system. We hand wash boots and register grilles with an EPA registered sanitizer. We seal leaks around register boots, if needed. If mold/mildew is suspected, these allergy causing components are eliminated through our application of an EPA registered sanitizer. Upon request, a video camera will inspect the duct lines to assure a job well done. Your furnace is reassembled and tested to ensure all components are in working order. The HP20 delivers truck mount job performance to build up a strong negative air pressure of 5,000 CFM to get the job done right every single time. The versatility of this machine allows us to hook up to your duct system with minimal hoses to maximize our negative air flow. This system is excellent for agitating debris and getting it airborne. 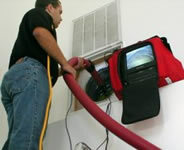 It is NEVER used by FRESHX as a stand-alone air duct cleaning system, but in conjuction with negative air flow. Air Whip System This unique skipper ball/whip combination uses medium and flexible rods to work in round or square ducts and is powered by a commercial grade portable air compressor. 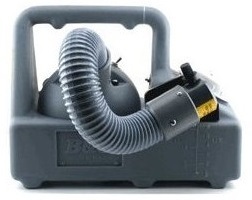 This system is able to clean in one pass, and will clean 100′ of duct through a 1″ access hole. Our ULV fogger uses EnviroCon in eliminating odor-causing microorganisms as well as those associated with mold, mildew and bacterial growth dispersing droplets between 5-50 microns (μm) in diameter and is used at each register under negative air. EnviroCON uses no perfumes or masking agents. An enhanced benefit of EnviroCON is its low toxicity and safety rating from the EPA. As a result, EnviroCON may be used in occupied spaces. EnviroCON doesn’t use any environmentally-damaging propellants or flammable ingredients. Video Inspection System Inspection Video Camera System shows the cleaning technician where the trouble spots are, and verifies the job was done right!